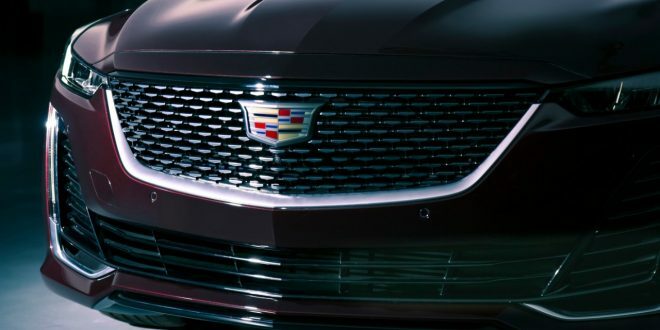 Cadillac has officially debuted the all-new 2020 Cadillac CT5 sedan. While the press material was abundant with details on the new sedan, Cadillac marketing has already published more trim-level specifics on their consumer website. At launch, the CT5 will be available in three trim levels and two engine options, each of course with a unique set of standard equipment detailed below. Both Premium Luxury and Sport models will also offer an optional Platinum Package, but Cadillac has yet to detail what it will entail. While all models will come standard with the turbocharged 2.0-liter engine, an optional twin-turbocharged 3.0-liter V-6 with 335 horsepower and 400 pound-feet of torque will be available on the Premium Luxury and Sport models. A quick glance at the specifications reveals the CT5 is nearly a carbon copy of the current BMW 5 Series in size. This comes as little surprise given the car’s engine lineup also mimics the BMW to a level that is uncanny. Cadillac has yet to announce pricing for the CT5, but one can expect it to be priced somewhere between the 3 Series and 5 Series sedans when it comes on sale this fall. Additional details and photos on the 2020 Cadillac CT5 can be found here. The CT5 is growing on me, but I feel it’s a step back with the engine performance.The current 2.0 turbo pushes 272hp with 299 torque and that’s perfect for a performance sedan for a luxury car, but now the CT5 2.0 will power 237hr 258 torque that’s dumb. This is Cadillac's problem. Instead of being a Cadillac, they're trying to be a BMW. Even the new interior is ripped from the 5 series.